festival information������������ 4 TICKETS, VENUES, AND MORE. has been a cornerstone of the Browncroft neighborhood since the early 1930’s. Locally owned and operated, we have always understood the importance of commitment to the community. We use local vendors to create over 100 menu items that are served each and every day. Generations of families have enjoyed the Winfield as a gathering place where our extensive menu has something for everyone. Daily specials can be found on our website or via facebook for our loyal fans. Looking for a place to meet your friends? Our bar staff gives amazing service in a fresh & friendly atmosphere. Give us a try and let us show you what we love to do! On the cover: Illustration by Aubrey Berardini PUBLISHERS: William and Mary Anna Towler ASST. TO THE PUBLISHERS: Matthew Walsh EDITORIAL DEPARTMENT: (themail@rochester-citynews.com) EDITOR: Eric Rezsnyak Contributing Writers: Willie Clark, Frank De Blase, Ron Netsky ART DEPARTMENT: (artdept@rochester-citynews.com) PRODUCTION MANAGER: Max Seifert Designers: Aubrey Berardini, Matt DeTurck ADVERTISING: (ads@rochester-citynews.com) ADVERTISING MANAGER: Betsy Matthews Sales: Tom Decker, Annalisa Iannone, Christine Kubarycz, William Towler OPERATIONS/CIRCULATION (info@rochester-citynews.com) Circulation Manager: Katherine Stathis Distribution: Andy DiCiaccio, David Riccioni, Northstar Delivery, Wolfe News CITY is published by WMT Publications, Inc. Copyright by WMT Publications Inc., 2012 - all rights reserved. No part of this publication may be reproduced or transmitted in any form or by any means, electronic or mechanical, photocopying, recording or by any information storage retrieval system without permission of the copyright owner. JAZZ FESTIVAL INFORMATION Welcome to the 2012 Xerox Rochester International Jazz Festival. From Friday, June 22, through Saturday, June 30, hundreds of artists will perform more than 285 concerts in a variety of venues in downtown Rochester. Niewood Jazz Scholarships Performance on Monday, June 25. Club Pass Series A Club Pass is your ticket to the Club Series: you can go to as many concerts as you’d like at 11 smaller clubs and venues (listed below). Club Passes for 2012 XRIJF have already sold out. If you don’t have one, you can still buy tickets ($20-$25) to the individual Club Pass concerts at the door, if space is available. Be advised that Club Pass shows tend to sell out; even if you have a Pass, you should get there early. Way (Roots & Americana Stage) Christ Church 141 East Ave. (Made in the UK Series) Harro East Ballroom 155 N. Chestnut St. Hatch Recital Hall Inside Eastman School of Music, 26 Gibbs St. Kilbourn Hall Inside Eastman School of Music, 26 Gibbs St. Max of Eastman Place 25 Gibbs St.
N. Chestnut St. (Nordic Jazz Now Series) Rochester Club 120 East Ave. (Viva Italia Series) Verizon Wireless Festival Big Tent Corner of Main and Gibbs streets Xerox Auditorium 100 S. Clinton Ave.
Ave.) Free shows June 25-29 RG&E Fusion Stage (corner of East Ave. and Chestnut St.) Free shows June 22, 24, 25, 26, 27 & 28 State Street Bar and Grill (Rochester Plaza Hotel, 70 State St.) Free jazz jams starting nightly at 10:30 p.m. PARKING Parking for all East End venues can be found in the East End parking garage at the corner of Scio Street and East Avenue. Additional parking can be found in the Washington Square Garage (111 Woodbury Blvd.). Also be on the lookout for street parking or spots in surface lots throughout the neighborhood. ADDITIONAL INFORMATION The Xerox Rochester International Jazz Festival’s official website is rochesterjazz. com. You can also visit the Jazz Ticket Shop & Info Center on the corner of East Avenue and Gibbs Street, daily during the festival 10 a.m.-11 p.m. New this year is the XRIJF iPhone app, which can be downloaded on iTunes and includes a full schedule, venue and artist lists, maps, and an option to buy tickets online. 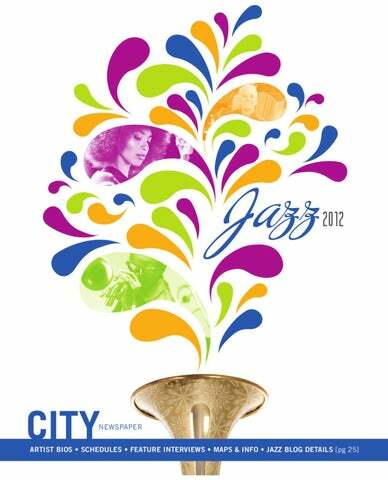 For additional Jazz Fest info, check out rochestercitynewspaper.com to get the online version of this guide, plus our daily Jazz Blog. City’s critics will offer up their reviews of the previous night’s concerts, and you can post your own thoughts in the comments section. We’ll also be posting photos, videos, and more. New blogs will be up by 7 a.m. each morning of the festival. We’ll also be posting updates on our Facebook page (facebook.com/CityNewspaper) and on Twitter (@roccitynews). has a four-pronged approach: a trio, the quintet called Inside Straight that he will be bringing to the Jazz Festival, a big band, and his most recent project, which he calls Conversations. FREE SETUP, DELIVERY, PROPANE, REMOVAL OF OLD GRILL plus FREE ONION CREEK RUBBING SAUCE with the purchase of a Weber Gas Grill. See store for details. like Lincoln Center, you’re going to have a hard time hearing some quality music. So the music has to be taken back to the community as opposed to expecting the community to always go somewhere else to hear it. “I’ve been trying to do that in terms of going to different schools, or going to play in community centers or retirement homes. People don’t have the money they used to to go hang out on a Friday or Saturday night.” Christian McBride’s Inside Straight quintet performs Friday, June 22, at 6 & 10 p.m. in Kilbourn Hall. Tickets cost $25, or you can use a Club Pass. Featuring a Complete Selection of Jazz Festival Artists, Past & Present! Visit our website for details. Sign up for our mailing list to receive updates. HOW COLD IS YOUR A/C? If all that comes out is warm, dusty air, don’t get in a ‘pickle’ - CALL US! We’ll fix it so you’ll be as cool as a cucumber! Jam Session with Bob Sneider Trio See listing for Friday, June 22. L’Orkestre Des Pas Perdus See listing for Friday, June 22. Our certified ASE technicians do precision car repair... Which means we get it right the first time. Because quality is our top priority, customer trust and satisfaction are very important to us. ROTATING SPECIALS ALL NIGHT LONG! $2.75 WELL DRINKS & $2 DOMESTIC DRAFTS 4:30-9PM YUMMY FREE PIZZA! PERMANENT COSMETICS Naturally beautiful everyday. Jacob Fred Jazz Odyssey [ JAZZ ] Medeski Martin & Wood and Bad Plus may be the best known of the fusion groups to have emerged when jazz bands and jam bands collide, but the Jacob Fred Jazz Odyssey is gaining ground. Hailing from Tulsa, Oklahoma, the quartet is unusual not only for its use of lap steel guitar, but also for its repertoire. In addition to playing tunes by Charles Mingus and Dave Brubeck, JFJO also covers songs by Bjork, Brian Wilson, Jimi Hendrix, and Neil Young. The group’s most recent project is also its most serious and ambitious, a suite of music inspired by the 1921 Tulsa Race Riot. (RN) jfjo.com Jam Session with Bob Sneider Trio See listing for Friday, June 22. Lenz to music. By the early 80’s, she was hanging out in San Diego’s mod-rocker scene. It was when she moved north that the rockabilly bug bit. “I moved to L.A. in 1988,” she says. “And that was during the time there was this explosion of all these amazing bands in L.A., like Big Sandy and his Fly-Rite Boys, The Dave & Deke Combo. Royal Crown Revue was just getting started. It was a pretty magical time, and I really got hooked on that kind of music.” Lenz returned to college at the University of North Texas to finish her degrees in anthropology and sociology with a minor in music. “I always thought I would be a psychologist,” says Lenz. It was during this academic jaunt that Lenz first performed, and there was no turning back. “My first gig was at a coffeehouse,” says Lenz. “I couldn’t sleep the whole night after. I was like, This is so cool. It was then that I realized what I’m supposed to do.” So the degree in sociology helps her deal with rowdy audiences, both here and abroad. The minor in music helps her read the dots. And the degree in anthropology gives her insight to the future, when scientists unearth the remains of rockabilly man and his longgone culture. “I think those people will still think rock ’n’ roll was pretty crazy,” she says. Kim Lenz & the Jaguars perform Monday, June 25, at 7:45 & 9:45 p.m. at Abilene Bar & Lounge. Tickets cost $20, or you can use a Club Pass. Jam Session with Bob Sneider Trio See listing for Friday, June 22. YOU’RE A REAL EYE OPENER! late nite menu extended bar is now open! PA R T I E S Here! Dweezil Zappa living in the past, or having the people who formerly played it being key to it. So you needed the right mindset first? How about the audience? Part of the whole process of doing this is to kind of re-educate the audience to have a different perspective, because it’s very easy for people to think of this as nostalgiabased entertainment. Frank’s music is very contemporary and, in fact, way ahead of its time. Future generations should want to learn this music and play it correctly. What has Frank Zappa’s music taught you? choose from; it’s a constant challenge to see what we’re going to focus on. Was Zappa Plays Zappa inevitable? It’s something I didn’t know was going to be totally possible until I put some effort into learning the music. I didn’t want to do it unless it was done to the right standards. It’s a daunting catalogue. How did you approach it? There’s so much, it’s hard to tell. The main thing — and what people probably don’t know about Frank’s music — is he started writing orchestral music as a young teenager. He studied on how to be a composer from books at the library. He sent music he had written out to orchestras with no one taking him seriously. So over the years, his music was developed by rock bands under his baton. He would use his rock band as his orchestra. He did work with orchestras in his career, but his music was more along the line of compositions than a rock band writing four-chord songs. When I was young, a lot of things appealed to me in the music. When I was younger, I didn’t know what the names of those things were. So when I studied the music, I had to discover the devices — not equipment, but the things Frank used in his compositions. This is clearly more than a Zappa tribute or cover band. People may say Zappa plays Zappa is a cover band. Well, technically an orchestra is a cover band. And Frank Zappa is virtually a genre at this point. You’ll find: Daily blogs by City’s jazz writers. A place for you to write your own reviews. In-depth interviews with top performers. Complete bios for all of the Jazz Fest artists. Day-by-day breakdowns of who’s playing where and when. Photos from this year’s concerts. Tweet us your takes on the shows! Peavey, Schecter, Vox, Yamaha, Korg, Roland, Ampeg, Mackie, Alvarez, QSC, Shure, Behringer, M-Audio and lots more! take the easy route and say, “I could see any cover band play this stuff.” But you really can’t, you know? To hear it played correctly, it takes a lot of time and effort. It’s like training for the Olympics to play this stuff. Do you think your father’s humor overshadows the music a bit? I think it has over the years. It’s just one of those things. Some people think if you have a sense of humor, then you don‘t take yourself seriously. Frank took what he did very seriously. He just also liked to have a good time. People who have a very pompous view of what they do and what their music is supposed to represent tend to be taken more seriously. But Frank didn’t really care for that kind of presentation. Where does the Dweezil get interjected amid all the Frank? that for a number of reasons. In the beginning, I didn’t want to have any recordings available of what we were doing. That didn’t seem to be part of the process for me. The reason I started this was to be the catalyst to a new generation of people to experience this music — not just the long-time fans, but new people. Upon first listen, I wanted what we did to be as close to the original as possible, so when they got to the original they knew what they were in for. So adding my own thing to it would be opposite of that goal. But over a period of time, people have grown accustomed to the band, and they’ve been interested in hearing it deviate from the goal of the original project. It gives life to the music. People are aware of the different versions out there already, and this gives them a few more. Dweezil Zappa performs Zappa Plays Zappa Tuesday, June 26, 8 p.m. at Kodak Hall at Eastman Theatre. Tickets cost $40-$95. FOR THE PERFECT BITE TO EAT. with MAXIM SPA & SALON! WE ARE COMMITTED…to making your individual style shine through - inside and out! to reserve an appointment for your SALON EXPERIENCE. Known in the Rochester area for our outstanding selection of wines and spirits from around the world. enjoy outdoor dining on the avenue! MELISSA & DOUG • SCARVES • SUMMER DRESSES HANDBAGS • AMISH IRON WORKS AND OH SO-O MUCH MORE! We carry a LARGE SELECTION of RAMON SANTIAGO - Framed & Unframed. creativity when I’m performing live,” she says. “I am almost a vehicle. I’m listening together with everybody. Things just flow. There’s no separation, nothing blocking; it’s completely open between the creative state and my hands into the piano. Those things are sublime.” The Eliane Elias Brasileira Quartet performs at 6 & 10 p.m. Wednesday, June 27, in Kilbourn Hall. Tickets cost $25 or you can use a Club Pass. Jazz Up Your Life with Healthy Tips from Lori’s! Buy organic produce and go green Feed clean, healthy food to your family and pets Play with your food…Experiment! Try tofu – Toss on some beans Spice it up! Use herbs and spices to add color, taste and aroma. Breathe – relax – listen to music! Be good to the Earth. Be good to yourself. Rochester’s first and only restaurant serving Kao-Phoon Fresh & Healthy with many gluten-free options! Bamba Bistro is the perfect place for a casual night out, an intimate dinner & all occasions in between! Distinctive Dresses, Separates, Accessories and More! I can still remember seeing a poster in Philadelphia in the early 1970’s advertising a show by Whole Oats at a small coffeehouse. Within a year, the duo had put out an album with beautiful harmonies and a song by Daryl Hall with a chorus saying “Don’t want to spend another fall in Philadelphia.” They didn’t have to. They were off to New York, where they changed their name to Hall & Oates and never looked back. But, Hall says: “You don’t ever leave Philadelphia. It’s certainly the birthplace of a lot of ridiculously good music.” Hall was 18 in the mid-1960’s, when he played a talent show at the Uptown Theater. The prize: cutting a single with two emerging producers, Kenny Gamble and Leon Huff. Pho, Dim Sum, Thai, Sushi & Bubble Tea 10% OFF Entire bill with valid Student I.D. The Gutbusters [ ROCK/ BLUES/FOLK ] These five Newfoundlanders may look familiar. They’re some of the smiling mugs who have taken your ticket at the door at past RIJFs. This time they’ll be onstage as the Gutbusters, giving us their take on classic rock, blues, and folk standards. But while their bustin’ guts, who will man the doors? Will chaos ensue? Tune in jazz fans; same jazz time, same jazz channel. (FD) Pokey LaFarge and the South City Three PHOTO PROVIDED Harold Danko [ JAZZ ] Before becoming chairman of the Jazz Studies & Contemporary Media Department at the Eastman School of Music, pianist extraordinaire Harold Danko honed his skills on the road with greats like Chet Baker, Gerry Mulligan, Lee Konitz, Thad Jones, Mel Lewis, and others. His own solo, trio, and quartet albums rival the work of any pianist recording today. Danko, who has released more than two-dozen CDs as a leader since 1975, is also an excellent composer. His best-known tune, “Tidal Breeze,” has been recorded by Baker and Konitz, among others. (RN) esm.rochester.edu/faculty/danko_harold Jam Session with Bob Sneider Trio See listing for Friday, June 22. Mark McKnight [ JAZZ ] Mark McKnight is an absurdly dexterous guitarist whose fingers seem to fly over the frets, creating beguiling melodies as they go. With his extraordinary technique and distinctive style, it’s hard to believe that McKnight is still in his 20s. Group Classes | Private Lessons | Socials Latin | Contemporary | Jazz | Hip Hop | Yoga Zumba | Rumba | Belly dance and more! FREE CLASS When you bring in this coupon. Expires August 31, 2012. I N F O R A G R E AT M E A L O N YO U R WAY T O T H E J A Z Z F E S T IVA L ! A M PL E PA R K I N G ! L&MES LAN MLB EXTRA INNINGS PACKAGE GREAT MICROBREW SELECTION ON TAP OPEN BOWLING NIGHTLY EXPANDED BAR MENU with the BEST WINGS ANYWERE! I’d play gigs around town with him. He just kept me by his side. That’s the thing that really opened me up. I’ve got to give all the credit to him.” Credit is also due to Shorty’s vision and musical versatility. He has reached outside his Louisiana wheelhouse to blow his horn on stage with acts like Green Day, U2, and Jeff Beck. And on his new album, “For True,” he has a pile of guests that make sense, and a few that don’t. Besides New Orleans fixtures like Ivan and Cyril Neville, The Rebirth Brass Band, and 5th Ward Weebie, the platter also has guests like Jeff Beck, Kid Rock, Ledisi, Warren Haynes, and Lenny Kravitz. Shorty and his band avoid nothing. “No, not really,” says Shorty, “as long as I can play it and I respect it. I just let it go — whatever it may be. I just let the music take us there. You know, being in New Orleans we’re influenced by so much, we’re exposed to so much. I’ll go from playing with the Neville Brothers or Dr. John to onstage with Juvenile or Mystikal.” Shorty is even flirting with heavier stuff, if that’s possible. “I jammed over some Nine Inch Nails on my iPod when I was warming up one time. I’d like to do some of that live,” he says. It all boils down to Shorty and his trombone, which he wields like a rock instrument — a guitar. Does it measure up? “I don’t know,” he says. “I’m still trying to figure that out. I’m trying, I’m trying. Hopefully it’ll become the norm soon and the kids coming up after me will keep it going.” Trombone Shorty & Orleans Avenue perform a free show Saturday, June 30, at 9 p.m. at the City of Rochester East Ave/Alexander Street Stage. JAZZY Great Gifts for your With-it Friends! RUBBLEBUCKET ADMISSION: $3 before 6 PM, $5 after 6 PM OTHER STUFF: Visit www.boulderfestival.com for more info & the full lineup schedule! LOCAL FOOD AND ARTS VENDORS on site Saturday and Sunday! Open 7 days a week Serving Lunch every Tuesday thru Saturday LIVE JAZZ every Wednesday GAP plays selected weekends, watch for it! e t a l o c o h C ines &V 2010 & 2011 WINNER! 3 Abilene Bar & Lounge 153 Liberty Pole Way. 585-232-3230 2 Central Library of Rochester and Monroe County 115 South Ave. 585-428-7300 12 Christ Church 141 East Ave. 585-454-3878 15 East Ave. & Alexander St. Stage 9 East Ave. & Chestnut St. Stage 6 Hatch, Kilbourn, Kodak Halls at Eastman School of Music 26 Gibbs St. 585-274-1000 4 Harro East Ballroom 155 N. Chestnut St. 585-454-0230 10 Jazz Street Stage Gibbs St. at East Ave. 5 Lutheran Church of the Reformation 111 N. Chestnut St. 585-454-3367 8 Max of Eastman Place 25 Gibbs St. 585-697-0491 13 Montage Music Hall 50 Chestnut St. 585-413-1642 9 RG&E Fusion Stage Corner of East Ave. and Chestnut St. 11 Rochester Club 120 East Ave. 585-232-7670 1 State St. Bar & Grill 70 State St. 585-546-3450 7 Verizon Wireless Big Tent Corner of Main St. and Gibbs 14 Xerox Auditorium 100 S. Clinton Ave.
ENTERTAINMENT ENJOY THE #1 CHICKEN WINGS IN ROCHESTER! LIVE ACOUSTIC MUSIC Check our website! For real jazz in Rochester, tune in to 90.1 FM or jazz901.org. We’re Rochester’s jazz station, taking jazz further by playing everything from bop to big bands, swing to soul jazz, Latin to fusion and beyond. We’ll be broadcasting live from the Rochester International Jazz Festival, so please stop by and say hello at our booth on Jazz Street (Gibbs Street). Thanks for your support and being a cool cat who digs Jazz 90.1! 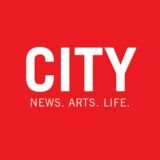 City Newspaper's Jazz Festival Guide featuring interviews with artists, day-by-day schedule, artist bios, and festival details!